From plantations to processing to consumer products, this three part series examines the impacts of industrial palm oil on the environment, human rights and wildlife conservation. Conflict palm oil: it’s the new buzz word on the street, but how could something as seemingly innocent as vegetable oil be the cause for so much concern? Anything that is used so widely by so many well-known and trusted brands like General Mills, Campbell’s and Nestlé can’t be that bad, right? The unfortunate truth is that the negative impacts of industrial palm oil are far worse than most consumers realize. Mass deforestation, corporate land grabbing, human rights abuses, iconic wildlife endangerment, and unchecked pollution are just a few of the conflicts surrounding industrial palm oil production, an industry fueled in large part by consumer demand. In the last 15 years, consumption of palm oil in the United States has increased nearly sixfold. This explosion of growth is due partly to changes in US labeling laws requiring disclosure of trans-fat content in food products. In response, food manufacturers have moved away from some of the heavier trans-fat vegetable oils in favor of palm oil, which has relatively low trans-fat, but is still very high in saturated fat. To meet the increase in demand from packaged food manufacturers, palm oil companies have been steadily and rapidly expanding into some of the world’s most valuable tropical rainforests. Ninety-eight percent of the world’s palm oil is produced in Southeast Asia, primarily in Indonesia and Malaysia, but production is also on the rise in South and Central America and in Africa’s Congo Basin. All too often, tropical rainforests cited for development are home to forest-dependent communities, customary owners of the land who live subsistence lifestyles and have sustainably managed the forest for generations. However, with the exception of a handful of legally recognized traditional territories, most customary lands are assumed by governments to be owned by the state. 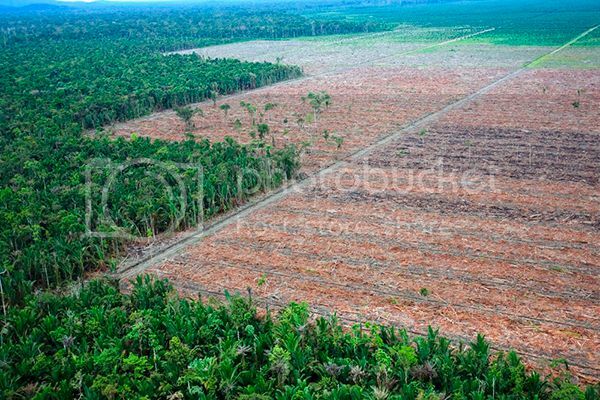 Often without the Free, Prior and Informed Consent of local communities, state officials enter into land use agreements with palm oil companies, allocating large swaths of land and permitting for plantation development or expansion into territorial lands. Locals are usually not informed of the agreement until exploration or construction begins. This process is referred to as a “land grab,” when a corporation or government seizes or sells lands for development without consulting local communities or checking to see if an alternate claim to the land exists. As a result, conflicts between local communities and oil companies are also on the rise. In 2013, Indonesia’s National Lands Agency registered over 3,000 conflicts between palm oil companies and local communities. The number of unregistered conflicts is likely well above that figure. 2006 Goldman Prize winner from Liberia, Silas Siakor, together with his team at the Sustainable Development Institute (SDI), is currently leading a public awareness campaign about the impacts of palm oil development and the explosion of corporate land grabs taking place in Africa and across the world. As of May 2014, half of Liberia’s lands had been allocated to foreign investors for development, many of them palm oil companies. To make way for plantations, palm oil companies clear cut massive tracts of forest. In fact, palm oil production has become one of the world’s leading causes of rainforest destruction. Since 1990, Indonesia has seen a 40% decline in lowland rainforests and a 600% increase in palm oil plantations. Forest-dependent communities are not the only ones who suffer when the rainforests are destroyed. Tropical rainforests are some of the most biodiverse regions on Earth and home to some of the world’s most unique and endangered animals. Rainforests in Indonesia and Malaysia provide the last remaining habitat for the Sumatran orangutan, the Borneo orangutan, the Sumatran tiger, the Sumatra rhino and the Sumatran elephant. Scientists estimate that converting a forest area into an industrial palm oil plantation results in the death or displacement of over 95% of the orangutans who originally lived in the area. As much as 80% of the orangutan’s forest habitat has already been destroyed and half of their remaining habitat is slated to be destroyed to make room for new or expanding plantations. 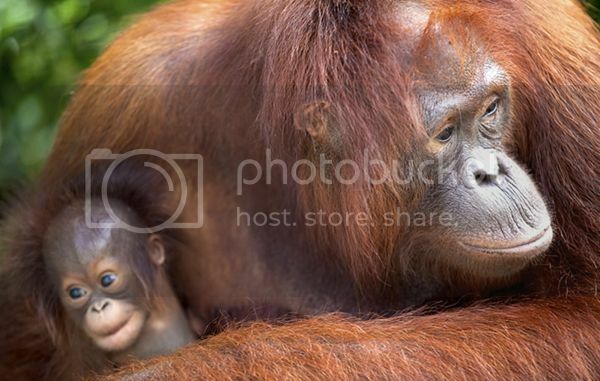 A report from Rainforest Action Network warns that the orangutan is at severe risk of extinction within our lifetime if development continues on the same track. The Sumatran tiger is also listed as critically endangered, with estimates of only 300-500 left in the wild. The Sumatran elephant is now locally extinct in about half of its traditional range, with only several thousand remaining in the wild. Rudi Putra, a biologist from Indonesia, was awarded the Goldman Prize in 2014 for his work to protect the habitat of the critically endangered Sumatran rhino by physically dismantling illegal palm oil plantations in northern Sumatra’s Leuser Ecosystem. 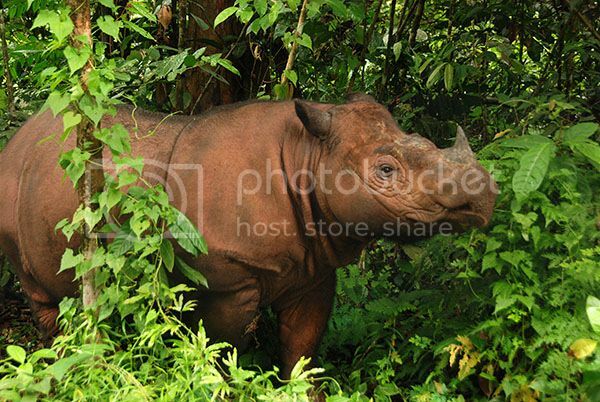 A critically endangered Sumatran rhino. The immediate negative effects of palm oil plantations are clear: loss of critical land and water resources for forest-dependent communities; increased conflicts between customary land owners and palm oil companies; and mass deforestation resulting in habitat loss for some of the world’s most engendered species. But the impacts of industrial palm oil production don’t stop there. Palm oil manufacturing causes lasting environmental harm by contributing to climate change via deforestation and releasing toxic pollutants into the air, water and soil surrounding processing plants. Join us next week for part two of our three part series on palm oil as we take a look at the human and environmental costs of palm oil processing and manufacturing.